At this point in the year, I’m sick of sitting on treestands waiting for excitement to materialize out of the woods around me. By nature, I’m more of a wanderer than a waiter, and that really kicks in when I start seeing a bit of snow on the ground and more cornfields go from standing to picked. That last part is what gets me thinking about pheasant hunting. I like bird hunting in the earlier parts of the season, but there is something about the late season that I really enjoy. Part of it is the predictability of it. The best cover will hold the birds, and oftentimes, that’s a cattail slough or overgrown plum thicket on public land. 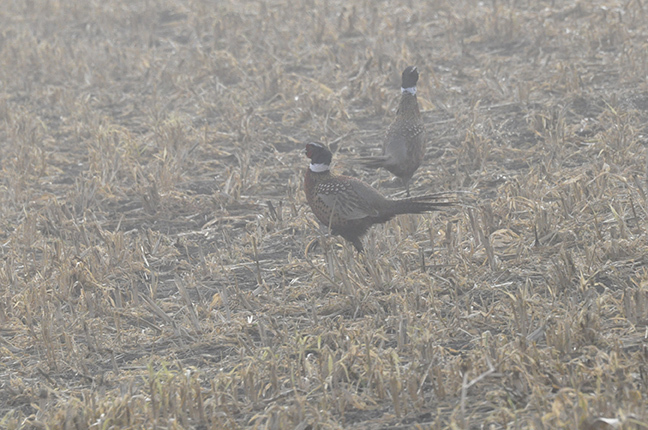 I like my pheasants wild and long-spurred, and we definitely can find birds that fit that description on public land during the last weeks of the season. I plan to wait a few more weeks to really get after it, so I’m hoping we will have some fresh powder on the ground and the public lands I like to hunt will be mostly devoid of anyone else. There is something I’ve grown to love about pulling up to a wildlife management area and not seeing another vehicle parked there. 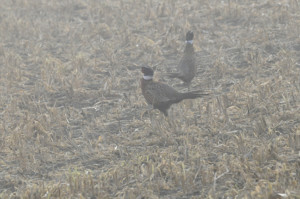 Even if there are fresh tracks in the snow from boots and paws – and there usually are – if the corn is picked and the cattails are thick enough, the pheasants will be there. They won’t be easy. Many of them will squirt out of the far end of the slough as soon as we step into the cover, but that’s part of the deal. Enough of them won’t, and I’m running a pretty good dog these days, so I’m confident that it’ll be a fun walk no matter the outcome. And after nearly two months of treestand time, I safely can say I’m ready to determine just how fun those walks through the cattails will be.